Recently Google release Android 6.0 Marshmallow and maybe coming to your device soon. We have been busy testing our apps on this new version of Android since the release of Android M which was a developer preview of Android Marshmallow and we are happy to report that our apps are working perfectly fine on it including the release version of Android 6.0 Marshmallow. Google has recently released Android M, which is a developer preview of the next Android Operating system. We have downloaded this new version and have done many tests with our apps, and so far everything has worked as expected and no issues have been found. We will continue to test our apps as new updates are released. Ness aComms has now been updated to version 2.0.0. As of version 2.0.3 (and above) you will be able to use the secure port on Android Lollipop. We have tested this on the latest update Android 5.0.1 and Google still hasn’t fixed this issue. In the mean time Port 2101 still needs to be used. 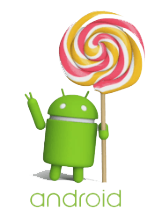 Recently Google announced and released Android 5.0 Lollipop and is expected to roll out to many devices around November 2014. This is an optional upgrade for your device (when it becomes available) and you are not forced to update it, however many new devices may have Android 5.0 Lollipop pre-installed. We have been testing this new operating system, including the developer preview (Android L) and we have found a major incompatibility issue in the way it communicates to the M1 panels.